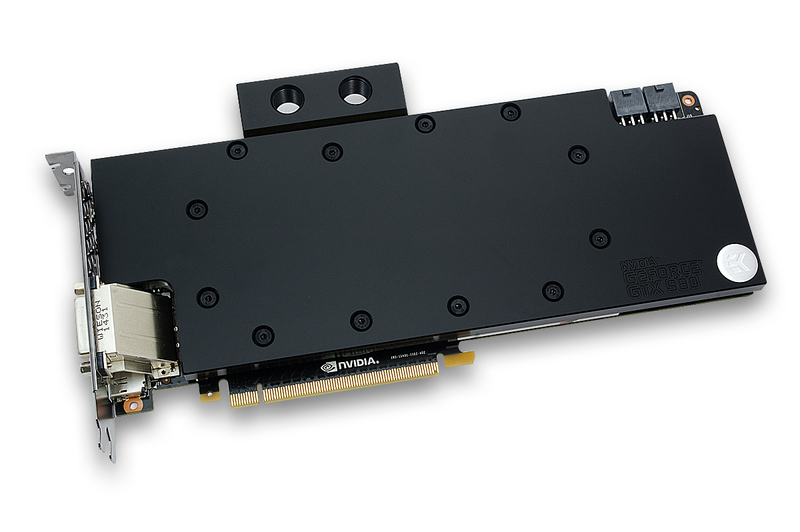 EK Water Blocks, Ljubljana based premium water cooling gear manufacturer, is proud to introduce full-cover water cooling solution for NVIDIA® reference (NVA-1G401) design GeForce® GTX 980 series graphics cards, based on Maxwell GM204 graphics processor. 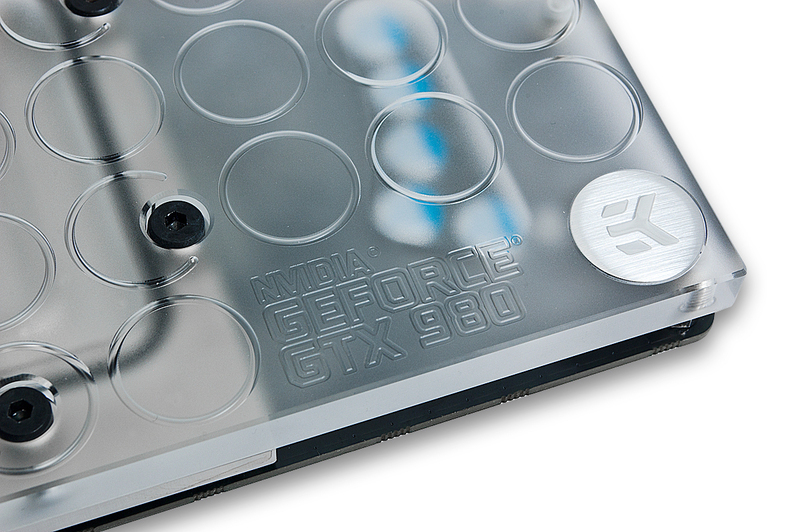 EK-FC980 GTX directly cools the GPU, RAM as well as VRM (voltage regulation module) as water flows directly over these critical areas thus allowing the graphics card and it’s VRM to remain stable under high overclocks. 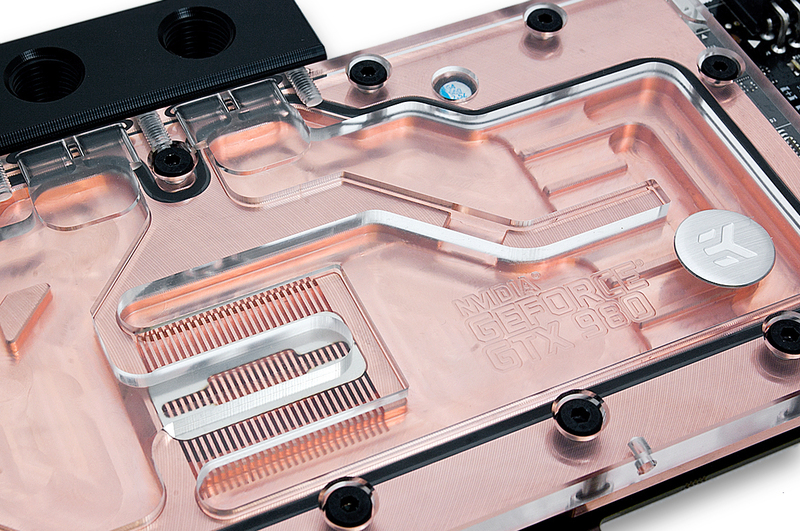 For the first time ever, the EK-FC980 GTX water block features a central inlet split-flow cooling engine design – just like with the flagship EK-Supremacy EVO CPU water block – for best possible cooling performance. Such type of heat exchanger also works flawlessly with reversed water flow without adversely affecting the cooling performance. 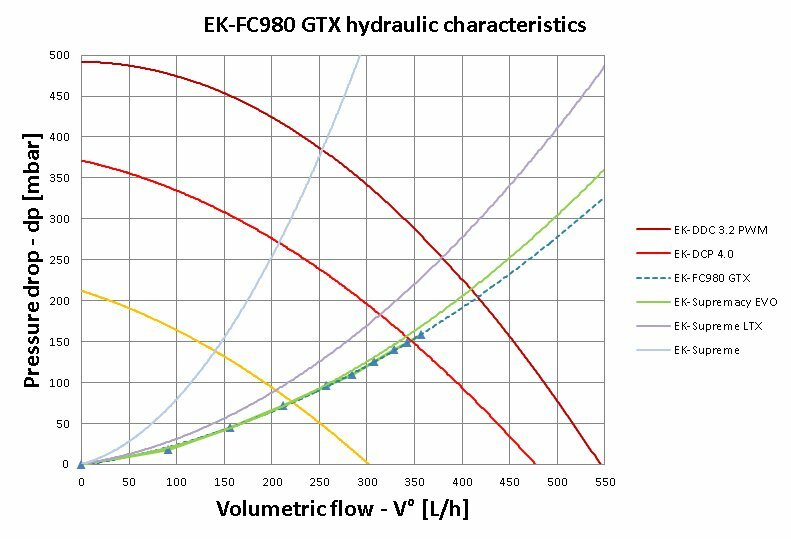 Moreover this radical design offers great hydraulic perfromance allowing this product to be used in liquid cooling systems using weaker water pumps. 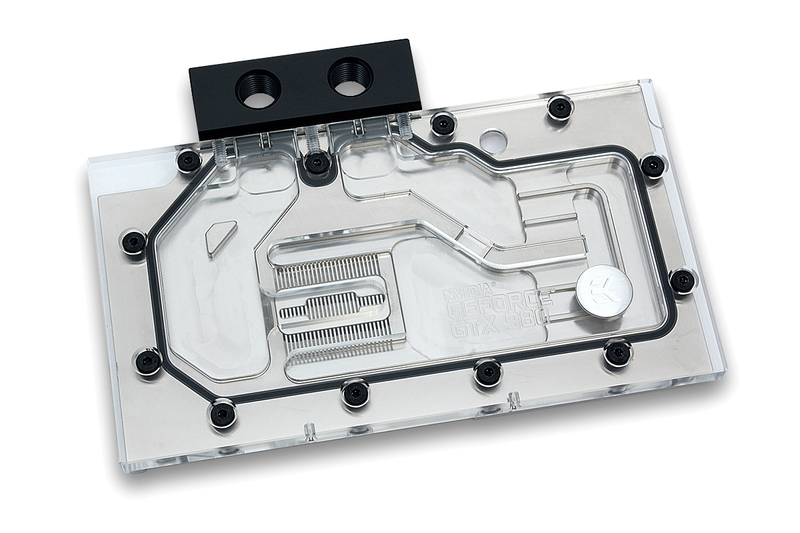 "This new cooling engine allows us to increase thermal performance of the cooler by as much as 3°C compared to our previous design", said Niko Tivadar, Project Manager at EK Water Blocks. "Achieved without sacrificing the slim, single-slot form factor design that has been our trademark throughout the years." 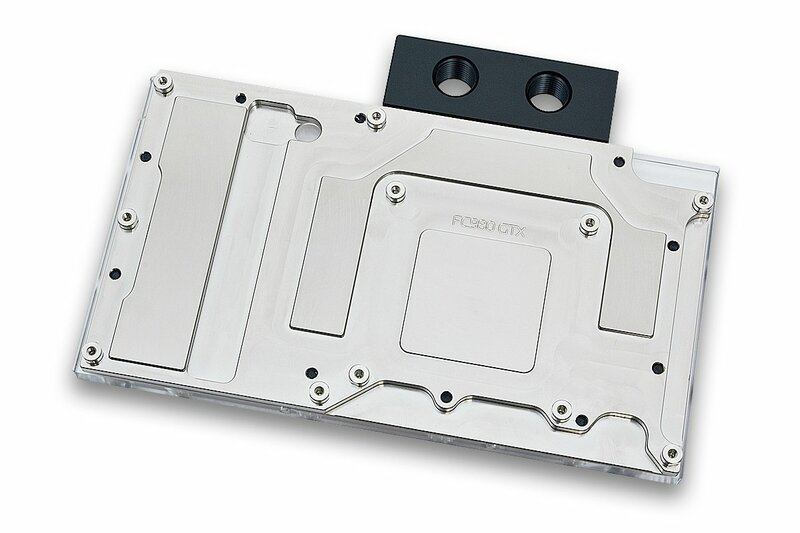 Base is made of electrolytic copper (bare- or nickel-plated, depending on the variant) while the top is made of either acrylic- or POM Acetal material. Plexi variants also features two pre-drilled slots for 3mm LED diodes. 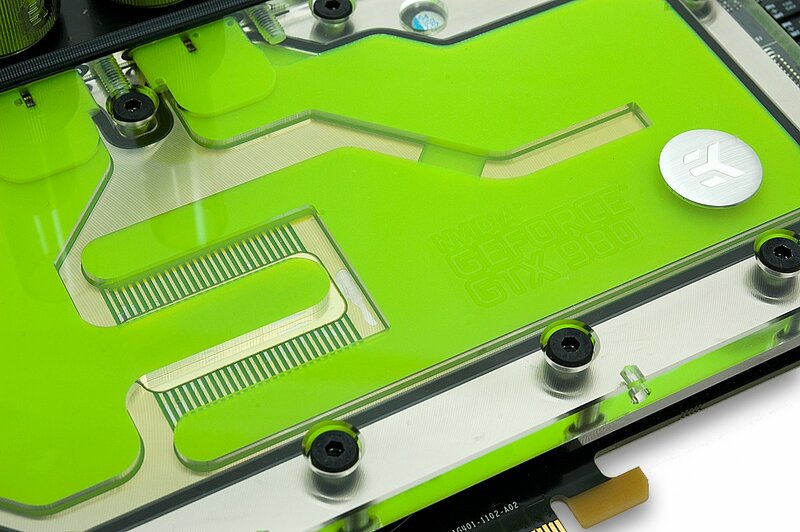 Screw-in brass standoffs are pre-installed and allow for safe, painless installation procedure which allows for re-use of the original NVIDIA® backplate.